Sega release official Sonic zone creator tool online! 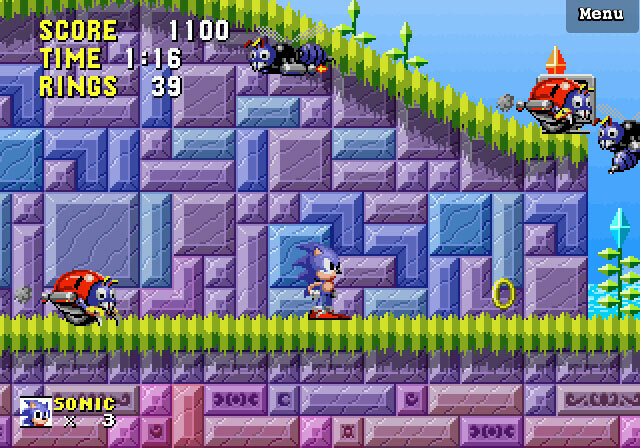 | Sonic 3 now in progress! | Project: Needlemouse?! | The Zone: 0 Forum is here! Update: Sonic 3 guide has begun! 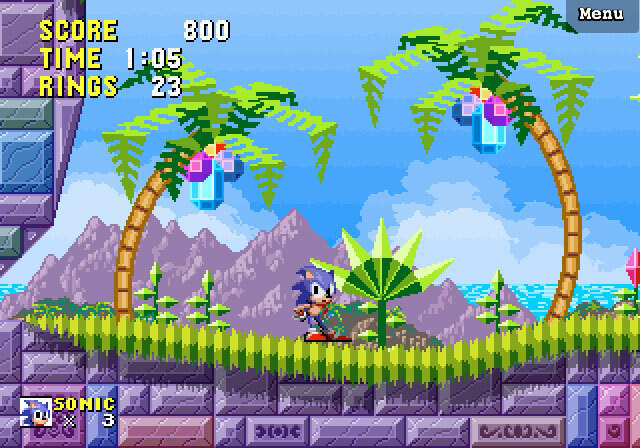 Angel Island Zone has been added, in addition to the Background info and Stages and Story pages. Wow, busy day. Sonic & Knuckles released on Xbox Live Arcade, a mysterious new 2D Sonic announced under the codename of Project Needlemouse, the ten year anniversary of the Dreamcast and Sonic Adventure's US release.. but also, as promised, our Sonic 3 guide has begun! Way to steal my thunder though, Sega, you knew I was releasing this today.. 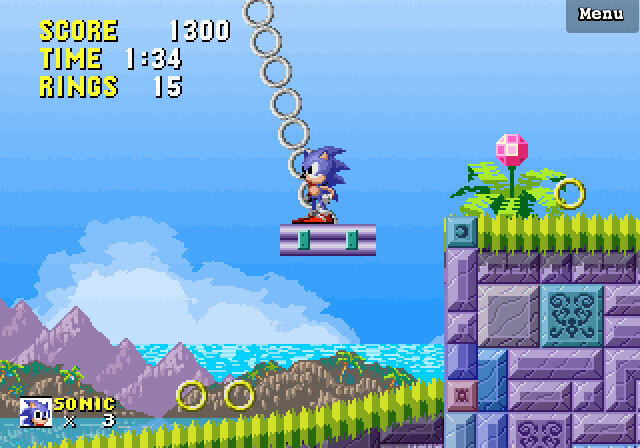 In the new Sonic 3 section you will find the obligatory Background Info page, the start of Stages and Story and of course the centerpiece, Angel Island Zone. Perhaps it's unwise to start on a game that I know I'm not going to have a lot of time for after this month, meaning the return of lengthy waits between updates I'm afraid, but I guess it's better than nothing. This game guide has been waiting four patient years since I actually finished writing all of it, so it can wait a little longer! These map sizes aren't too bad (3 and 4 megs), but I think for Sonic 3 and S&K we can expect some phenomenally bigger file sizes coming up for later juggernauts, so there's not much I can do about that I'm afraid. You'll notice a few new additions to the mapping formula, particularly colour-coded arrows to indicate which characters can go where, where appropriate I should be able to point out slight differences in object placements between the S3 and S3&K versions of the levels, and I've even highlighted those hidden items at the end of the first act! 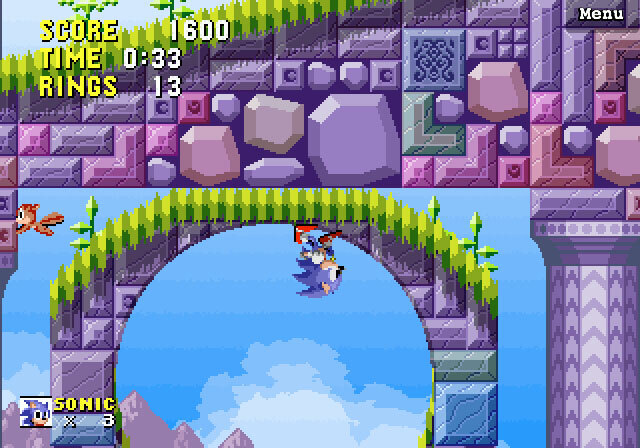 All would have been much more difficult without the help of Mercury's Sonic 3 & Knuckles extractor, which works like a charm! I'm also adding music to these downloads again (I couldn't add them to Sonic CD because there was just too many really, considering my hosting limits at the moment) and I thought I'd throw in the Smash Bros Brawl mix of the Angel Island theme too, just for fun. So the debut of the Zone: 0 forum this past weekend was a massive success, much more so than I was expecting, thanks largely to Tweaker and QJimbo, who kindly advertised its existence to members of the Sonic Retro and SSRG communities, respectively. Thanks guys! We managed to accumulate around 40-50 members just in that first weekend which is pretty amazing for a new forum and the kind of discussions that have been going on have been exactly what I was hoping for. I love how we're not just running through tens of different, empty topics, each one is given plenty of attention and feedback before moving on to new ones, so hopefully we'll keep this up! Thanks to everyone who has joined and contributed, and If you haven't seen it yet, wander by sometime and see if it might be your sort of thing. There's been a lot of thoughtful and detailed posts with great discussion value, and everyone seems to be getting on great so lets keep it going and see if we can make an excellent community out of this place! I can't wait to see the rest of the zones. Keep on going. This is great! A perfect opportunity to Discuss in the new forum! Hopefully we'll find out more at TGS 2009.